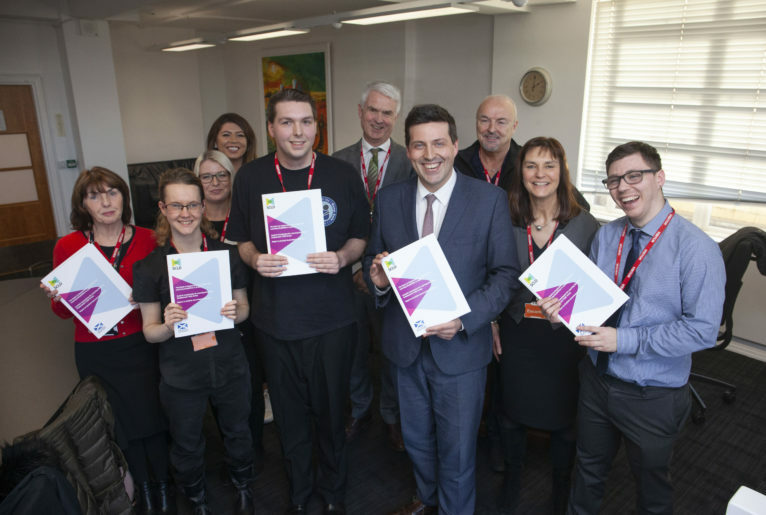 In 2016 SCLD commissioned a report, Mapping the Employability Landscape for people with a learning disability in Scotland, to scope the employment position for people with a learning disability in Scotland, and to identify ways in which the vision within The Keys to life would be delivered. All citizens of Scotland who have learning disabilities live longer, healthier lives; and are supported to participate fully in all aspects of society; prosper as individuals and are valued contributors to a fair and equal Scotland. This latest report aims to build on this work. The Employment TASK Group membership is drawn from a wide range of organisations who both support people with learning disabilities and have a vested interest in finding routes into employment for people with learning disabilities. Watch the SCLD Learning Disabilities and Employability video.